Chris Britt established Britt Private Capital, LLC in 2016 as a private investment firm focused on making longer-term investments in lower middle market businesses with strong margins, attractive growth prospects and sustainable competitive advantages. Prior to founding the firm, Chris joined Marwit Capital in 1994, partnering with Matthew Witte as co-Managing Partners and for the next 22 years the firm and its affiliates completed over 50 buyout and growth investments across two funds and several deal specific partnerships. Marwit Capital was founded in 1962 is one of the oldest private equity firms in existence today. Currently, after more than 50 years as a firm, Marwit Capital is harvesting the last of its existing investments and has decided to not make any new investments. Chris remains one of two Managing Partners of Marwit Capital along with Matthew Witte. In the eight years prior to his tenure at Marwit Capital, Chris was a Corporate Finance affiliate for Levine Leichtman Capital Partners, a Los Angeles-based private investment firm, a Partner at BCC Capital Companies, a Southern California-based boutique investment bank and ESOP advisory firm, and an analyst at Geneva Companies, a Southern California-based middle market investment bank and valuation firm. Chris presently serves on the Board of Directors of Mountain Mike’s Pizza, LLC, where he is also co-Chief Executive Officer (CEO). 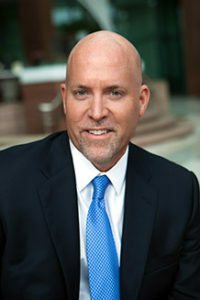 Previously, Chris served as Chairman of the Board of Directors and lead investor of Boot Barn Holdings, Western Emulsions Corporation, Driftwood Dairy, Inc., Fire Grill, LLC, Nupla Corporation, Storyteller Theatres, LLC and Gregg Gift Company, and also served as a member of the Board of Directors and lead investor of Signature Theatres, LLC, Columbia Aluminum Products, Inc. and T and T Industries, Inc.
Chris earned a Bachelor of Arts degree in Economics from Stanford University, where he also played baseball, and an M.B.A. in Finance and Entrepreneurial Studies from the UCLA Anderson School of Management.